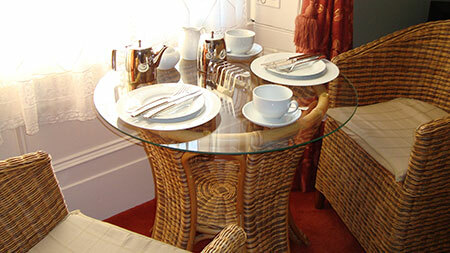 The home of Morag and Sandy who welcome you to stay at their beautiful bed and breakfast. Craig Villa is a traditional detached house built from the local “mudstone” and dates back to the mid 1800's. 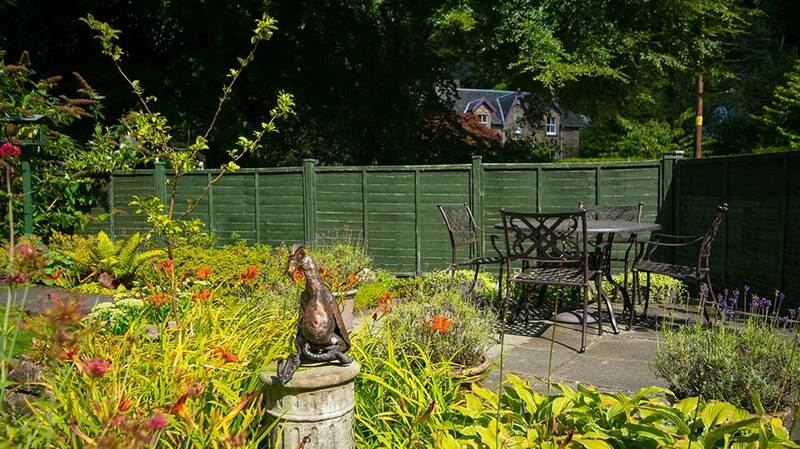 The house is located within the Callander Conservation Area and is only a few minutes’ walk to the many shops and restaurants that are to be found within the town. 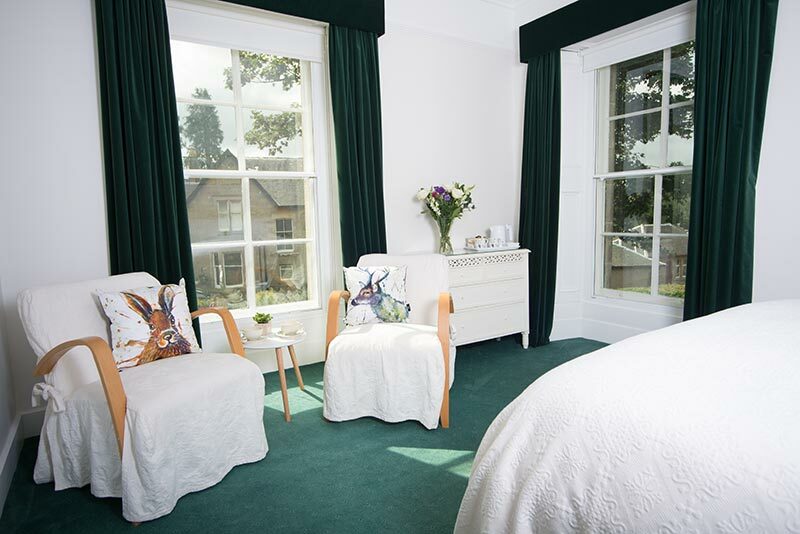 At Craig Villa Guest House we provide all the latest comforts in traditional surroundings with the aim of ensuring that all of our guests have a relaxing and enjoyable stay. 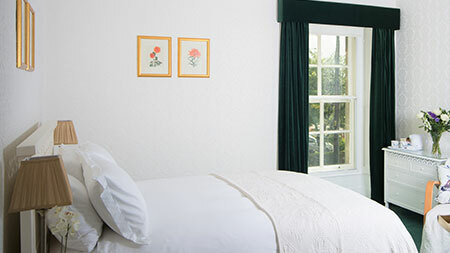 Our rooms comprise two King en-suite bedrooms and a Double en-suite bedroom, all located on the 1st floor of the property. Ironing facilities and fibre duvets and pillows can be supplied on request. 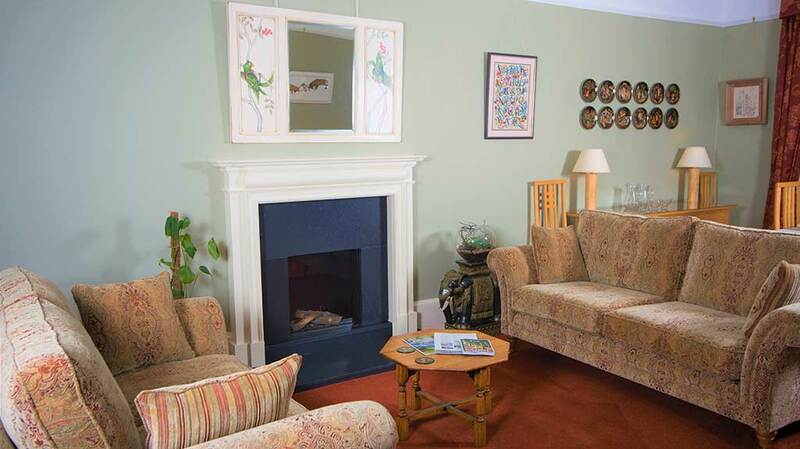 After a long walk, cycle or a day sightseeing, guests can relax by the fire in the lounge whilst deciding in which local restaurant or bar to dine. 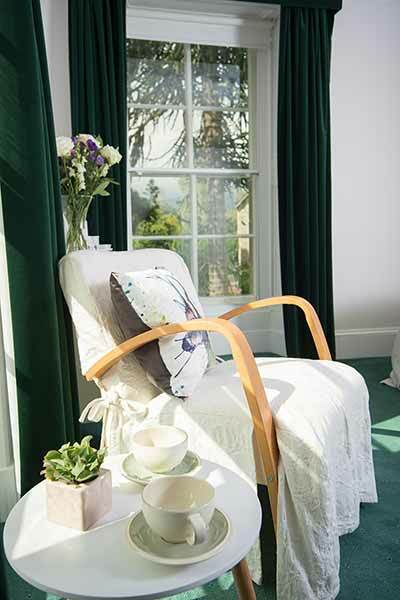 For those who wish to stay in, guests will also find a small selection of board games and books which can be borrowed. Breakfast is said to be the most important meal of the day. 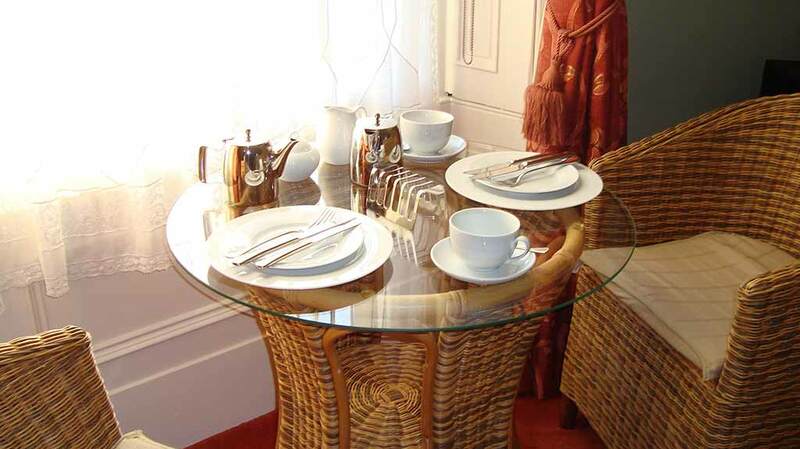 At Craig Villa we offer our guests a varied choice of tasty breakfasts served in our dining room. Whether its cereals and fruit juice, a traditional Scottish breakfast, scrambled eggs on toast with smoked salmon, eggs royale or our vegetarian option of a crepe filled with mushrooms, cheese, crème fraiche and Dijon mustard with roast vine tomatoes on the side, our breakfast is sure to set you up for the day’s activities ahead. We are happy to cater for special dietary requirements - please just let us know at time of booking. Breakfast is served from 8.30am to 9.30am, Monday through Sunday. For any guests needing to leave early, please notify us in advance. 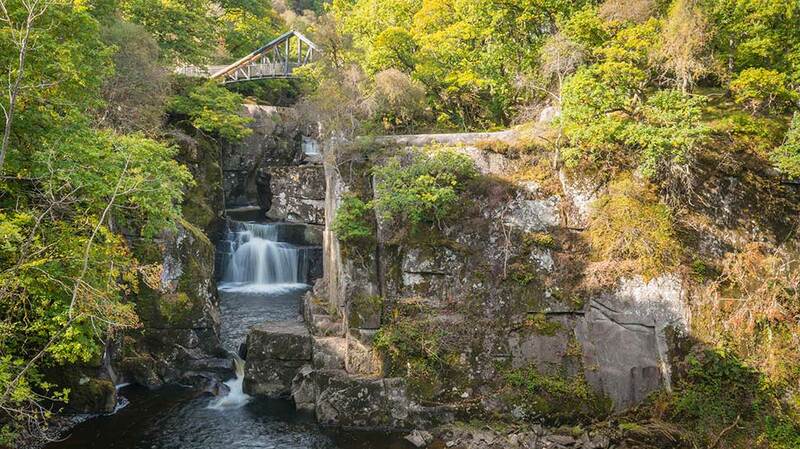 Commonly known as a Gateway to the Highlands, Callander is ideally situated to explore the Loch Lomond and Trossachs National Park with its magnificent scenery. For walkers and cyclists, there are a number of local walks and cycle rides of varying lengths and degree of difficulty to enjoy. 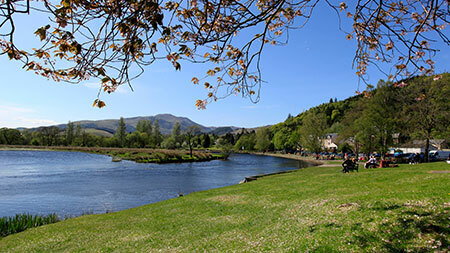 For the angler, fishing permits for salmon and trout fishing on the Teith and Leny can be obtained in Callander and boats can be hired on the nearby Loch Venacher for a spot of coarse fishing. 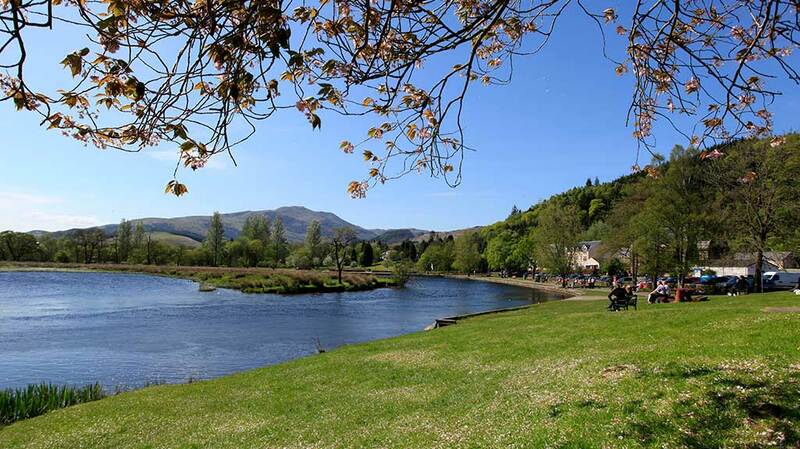 Fly fishing from a boat on the Lake of Menteith is also available just a few miles away. For the golfer, Callander also has a picturesque 18 hole PGA golf course which is open to members and non-members alike. For those interested in Scottish history, there are wonderful castles close by at Stirling and Doune, historic battlefields at Bannockburn and Sheriffmuir and the Wallace Monument at Causewayhead, Stirling, which commemorates Sir William Wallace and the battle of Stirling Bridge. To check availability and to book your room please enter your preferred check-in date. Craig Villa Guest House and the Callander area. Please contact us via telephone, email or the contact form below.